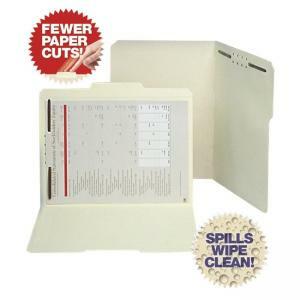 Paper-cut and water-resistant folder is made from WaterShed/Cutless paper, a specially formulated 11 point manila stock. The WaterShed feature provides added protection against spills. The Cutless feature reduces incidence of paper cuts. 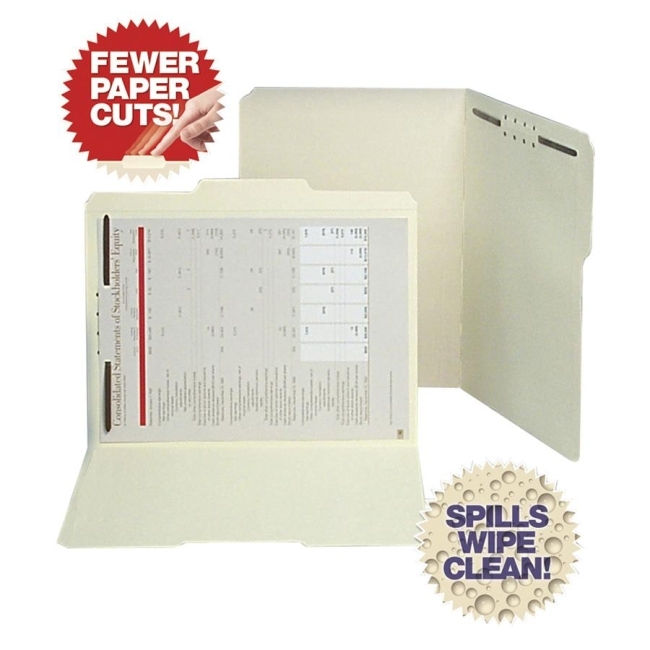 Folder features reinforced tabs in assorted 1/3 cut positions and a 2" capacity fastener in position one. Contains 30 percent post-consumer recycled material.